Welcome to the Nazarene Bible College AdVantage accelerated degree completion program. 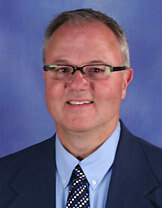 My name is Dr. Jerry W. Storz, Advantage, Leadership and Ethics Program Director. The NBC AdVantage program is designed for busy adults just like you. In as little as two years, you can finish your degree by taking one class at a time via the NBC Online delivery platform. If you are considering completing your degree, we can help! Did you know that over 45% of students in college today are non-traditional "adult" students over 25 years of age? With the average age of students at Nazarene Bible College at 38, the college specializes in the needs of the adult student! In fact, NBC has been educating adults for over 51 years. The AdVantage program is designed for adults with prior college credit. In addition to prior college credit, NBC accepts credit by exam, military experience, and even credit for prior learning from life experience. Did you know that over 85% of students at Nazarene Bible College receive some form of financial aid? Funds for college come from a variety of sources including grants, scholarships, low-cost student loans, and more. After a brief interview, an AdVantage counselor can provide you with the information you need to finance your education and your future. At Nazarene Bible College, education, faith, and life go hand in hand. Completion of the AdVantage program leads to a Bachelor of Arts in Ministry degree with a major in Christian Counseling (campus only), Christian School Education, Counseling for Christian Ministries (online only), or Leadership and Ethics. Each program is taught by experienced professionals with an educational model that focuses on experiential learning, practical skills, and life application. In addition to being provided the tools to be more productive, you will also be challenged to integrate your faith with your everyday life. Ready to Apply? There is no application fee!